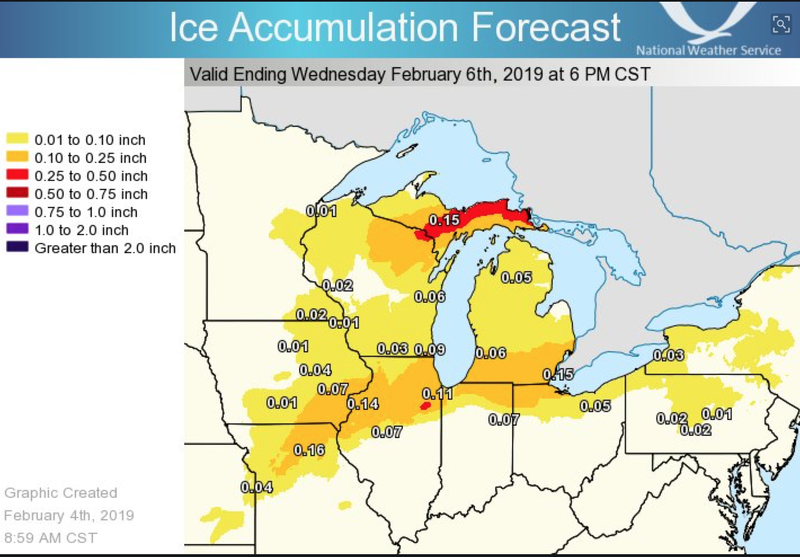 Widespread icing is going to occur throughout the Midwest. This is going to affect highways as well as the airline hubs at Chicago and Detroit. Please plan accordingly and, if possible, be proactive. If you must travel, get there before the storm begins.